As many of you may know, I'm a Publicist for Entangled Publishing, and I'm a huge paranormal fan. So, I'm so excited that we have launched our new Paranormal Romance line, Covet!! Covets have all the sexiness, emotion, and happily ever after that readers have come to expect and love from Entangled. They are firmly grounded in the contemporary world, but each novel brings in supernatural twists, breaking the contemporary and paranormal rules, alike. To find out more about our launch titles, chat with authors, participate in special events, and to find out what books you’ll be coveting next, visit the Entangled website, follow us on Twitter, and LIKE our Facebook page. Over the next several weeks I'll be featuring our authors from this fabulous new line as they each tell us about their top 5 favorite paranormal characters. Today's guest is Abby Niles. Please join me in welcoming Abby and celebrating her new release! I’m really drawn to the paranormal genre. I always have been. It doesn’t matter if it’s magic, vampires or shifters, if I see that a TV show, movie or book has a paranormal edge, you’ve caught my attention and I’m willing to give it a try. Not everything works for me, but there are some characters that I fall in love with and not always in the I-want-to-have-your-baby way. I fall in love with the complexity of the character. My list of favorite paranormal characters is actually way more than just five. I can list five vampires alone that are my favorite, so I decided to pick and choose. I’ll start with my favorite, favorite. *Drool* The yummy older brother from The Vampire Diaries, which is also my favorite show on TV right now. Damon came into the show just bad. That first season I was iffy on him. You had Stefan, the wholesome younger brother who thought rationally, was sweet and thoughtful. Damon was the opposite. He acted before thinking, was cocky as all get-out, and really didn’t care what anyone thought about him, because he didn’t like anyone. In the second season his character grew. Yes, he was still cocky and reacted before thinking and he still did some very horrible things, but you started to realize that even though he was like that, Damon was loyal, would do anything to protect the people he cared the most about, and he became a whole lotta hot for me! 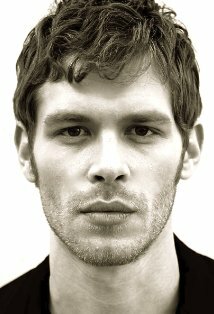 He’s also from The Vampire Diaries, and unlike Damon, Klaus isn’t bad, he’s downright evil. He lacks remorse and emotions, has a superiority complex that makes him constantly show everyone around him that he is the original vampire and he’ll do what he wants. He kills without care. Staked his sister and brothers and kept them in a box for centuries. (You can’t kill an original with a regular stake, but you can put them out of commission for as long as the stake stays buried in them). He makes Damon seem like a playful puppy in comparison. Yet, I’m still drawn to him. He has these moments, especially with Caroline, where you can see just how lonely he is. Anyone watch the pilot for “The Orginals.” It’s a spin-off from The Vampire Diaries that will start this fall. I loved it! My favorite scene was him standing with that bartender as they watched a painter, and the bartender was saying how she believed the painter was expressing his loneliness and how much he wanted to be part of a family. The sheen of tears in Klaus’ eyes? Oh. My. God. Right there, that moment, was exactly why I’m fascinated with Klaus. Are you seeing a pattern yet? When I first started watching Once Upon A Time, I was all about Charming. He was the good guy, fought against the evil queen and fought to win Snow White. I loved that. But the thing is, once he got the girl, there really wasn’t anything left to tell, and he’s faded into the background this season. Why? Really because when it comes down to it, he’s a one-dimensional character. All good and no bad. Who stepped up to the plate for me? Mr. Gold. i.e. 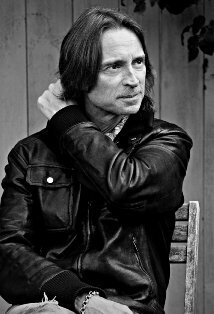 Rumplestiltskin. I’ve been watching the series from day one, and I’ve finally had to admit, when it comes to the paranormal, I like the characters who come across unredeemable, who do things that are horrible in their paranormal world. BUT just when you think they’ve gone too far, you see a flash of good in them. Those moments makes them so complex and deep. Regina (i.e. the evil queen) is another example of that. The entire time I read Karen Marie Moning’s Fever series I was trying to figure out what the heck Jericho Barrons was. I kept guessing, and then something would happen that made me go, uh no, he can’t be that. The mystery and danger that surrounded him was positively enthralling. I loved trying to figure it out, and when it was finally revealed? Wow. The man who was terrified of the blood-lusting Berserker who lived inside him. I loved Grimm from Karen Marie Moning’s To Tame a Highland Warrior. He was a man completely besotted with the heroine, had known her for years, but refused to show his feeling for her because he was certain the berserker would one day hurt her. I loved Grimm’s struggle. Seeing how much he loved Jillian, how much he wanted to be with her. Then berserkergang would seize him, and that love switched to terror at the violent creature that emerged and what it was capable of. One of my favorite books. Who are some of your favorite paranormal characters? Katie, thanks so much for having me on A Book Obsession today! !